Practically everyone drinks soda and if you are someone who prefers 2 liter bottles, you may have mounds of plastic to throw away at the end of the month. Instead of throwing out those bottles, we have some great ideas on how you can repurpose them into fun and creative crafts. 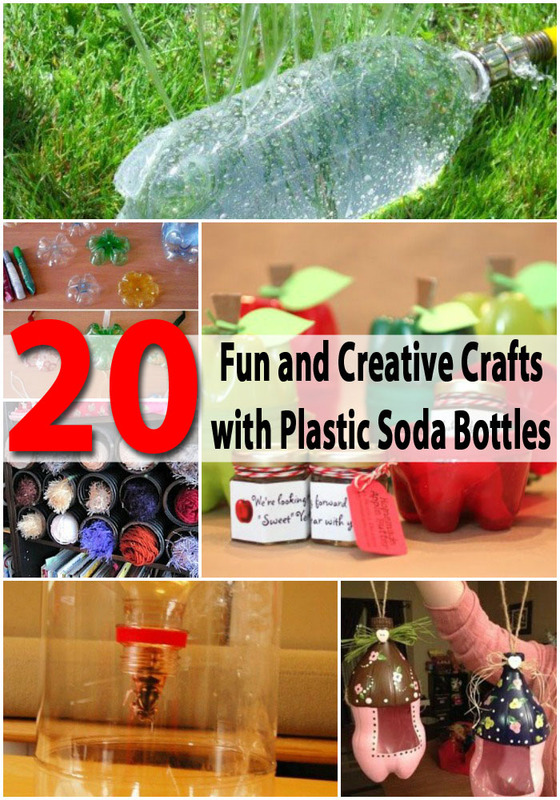 Many of these crafts are kid friendly so if your little ones are bored during the cold winter months and just can’t get outside, you can help them to create a bit of fun and take care of some of your plastic waste at the same time. 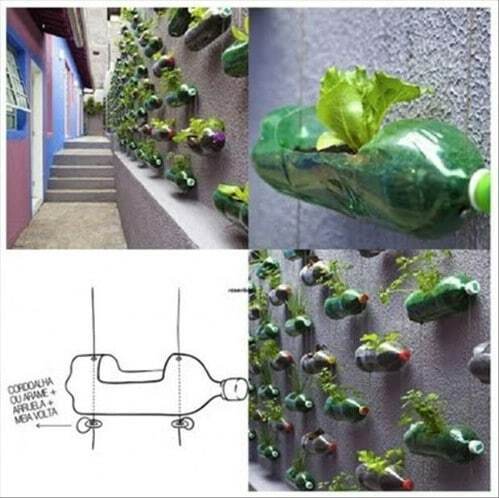 There are great projects for banks, planters and just about anything else you can think of using those 2 liter bottles. Imagine what fun you’ll have creating homemade trinkets and décor with your plastic. Not only do you save yourself a bit of plastic to recycle, you’ll have a blast using those bottles to create some of the most adorable crafts ever. Kids love the movie “Despicable Me” and these bowling pins are sure to give them a thrill. 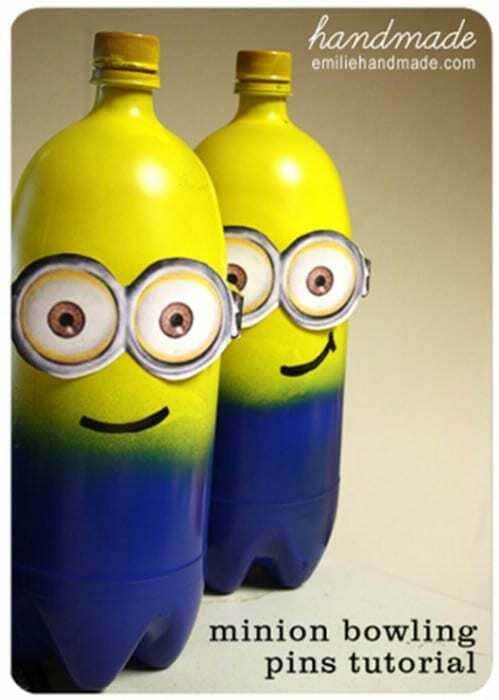 You just paint the bottles in the appropriate colors, add the goggles and then have a small plastic ball on hand to bowl your Minions over. This is a great bowling game for kids that will use many of those plastic bottles and give them a fun time creating the game as well as playing it. If you love birds and you want to rid your home of some of those 2 liter bottles, use them to create beautiful bird feeders. You can use any color scheme you want and these little feeders take very little time to create. Paint them or cover them with fabric swatches and hang them wherever your little bird friends may visit. This is a great project for kids, even younger ones. These adorable and colorful tropical fish are easy to make and the project requires very few supplies. This is a really good project for teachers, camp leaders or any parent who just wants something fun for their kids to create. 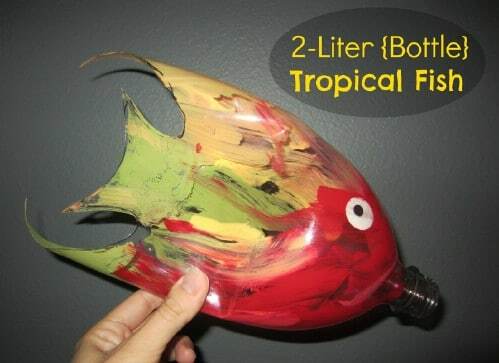 Just cut the bottle appropriately and then have fun creating loads of colors for your “fish”. Ok, so Christmas is over but this is a great project to keep in mind for next year or you could go ahead and make these cute little snowflake ornaments now so they’re ready when you start decorating in December. 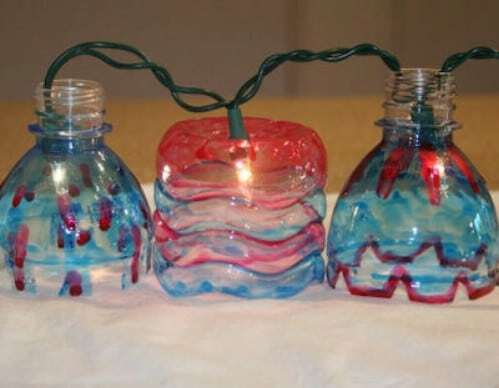 You just need the bottoms of the bottles and you can use bottles in various different colors or paint clear ones, whatever you have on hand. Tie a ribbon or string at the top and you have a really cute ornament that kids will adore making. Instead of buying Chia pets, why not recycle those plastic bottles and make your own? You just need the bottom half of the bottle and crafty eyes. You can use the lid as the nose, which is an adorable idea. When you have finished decorating, just fill your little pet with dirt and add whatever seedlings you want. You really can use those old plastic soda bottles to make your own broom! The key to this project is in how you cut those plastic bottles. This broom is great and actually works so the next time you need to buy a new broom, save your money and clean out some rubbish by recycling those plastic bottles. Incidentally, there is also a great milk jug dust pan that goes along with this broom. You had to know that there would be a piggy bank here somewhere. 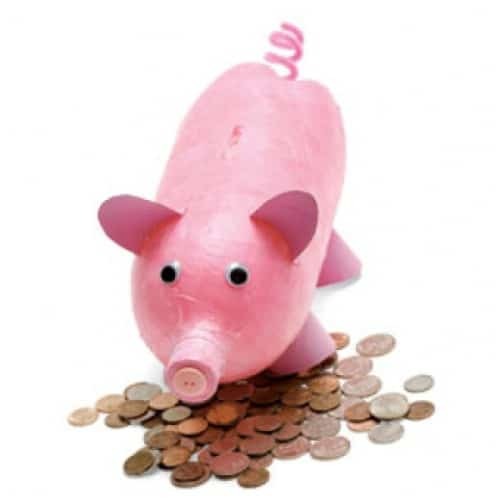 You can turn those plastic bottles into great little piggy banks with just a little time, some paint and a few other key supplies. The great thing is that you don’t necessarily have to make the bank into a pig. Be creative and make all sorts of little animals. These make great projects for kids and wonderful gifts, too. If you tend to have gunky drains and you want a cheap and easy way to clean them out, plastic bottles make wonderful decloggers. You will need a bit of wire and a sharp craft knife to cut the bottle appropriately. 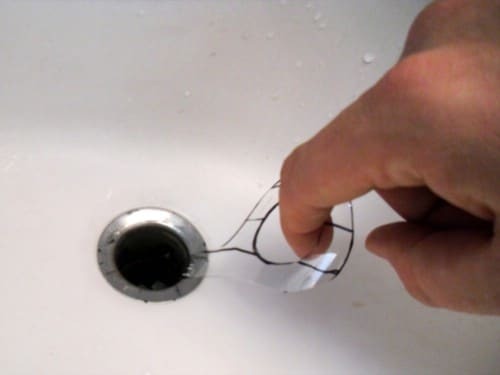 This is a wonderful way to clean out hair and other gunk from your drains without having to call a plumber or spend a fortune on drain snakes. 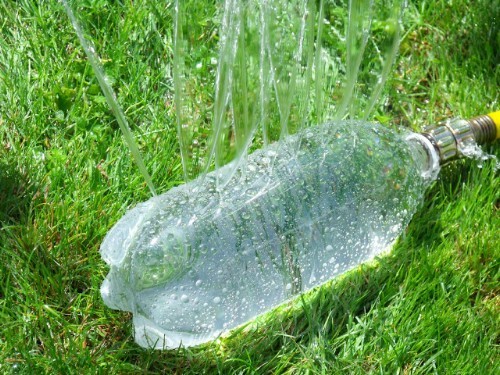 Kids love playing in the sprinkler when the weather permits and this little plastic bottle sprinkler is the perfect project for summer. You just poke holes in the bottle and then hook it up to your garden hose and let the fun begin. You can let the kids decorate their sprinkler if you want with paint or just leave it plain. You can also use it to water plants during the summer if you need to. 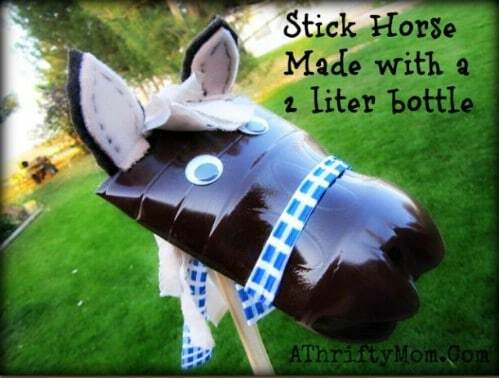 This stick horse is adorable and your toddler will absolutely love it. It is really easy to make and would be wonderful as a gift. You have to spray paint the bottle and then bend and twist it to create the horse’s head. Then just add eyes and other decorations, a stick and anything else you want like ribbon or rope. The bottom of your 2 liter bottle is perfect for all sorts of craft containers. You can use it to keep paint colors separated while you paint or store smaller beads, pins or other craft supplies in it and keep them separated while you work on your projects. You just cut the bottom off the bottle and then use it however you need. If you don’t have enough space to plant an herb or flower garden, or if you just really want to re purpose those 2 liter bottles, this wall garden idea is perfect. You just have to cut the bottles on the sides to allow for the plants to grow and then affix them to whatever surface you want. This is great for those smaller spaces where you really want to grow your own plants but just don’t have enough yard space. 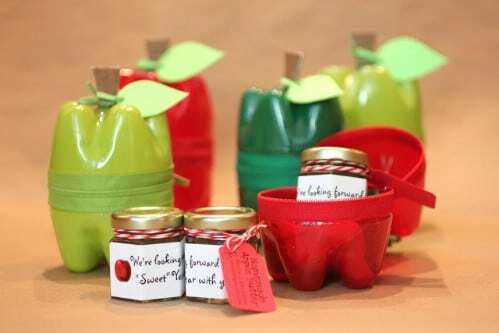 The bottoms of those plastic bottles will make beautiful and crafty apple containers. You can use these in the bathroom to hold cotton balls and other smaller items or give them to teachers as gifts. They are adorable and really easy to make. Two bottle bottoms will create the container and the lid and you just have to paint and add cardboard stems and leaves. 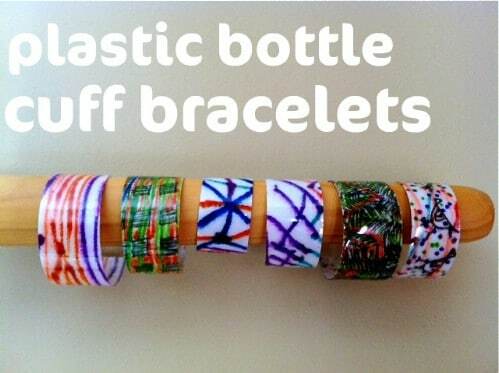 Kids will simply adore making their own cuff bracelets from those plastic bottles. The great thing about this craft is you can make several bracelets from just one bottle. Allow kids to paint, color or glue different pictures or shapes to their bracelets to make them unique. You can even punch holes in the ends and tie ribbons or other string to help hold the cuff together if needed. Keep those pets hydrated on hot days by turning your 2 liter bottles into an automatic water dispenser. This one takes a little time and a few supplies like boards, glue and a bowl to catch the water. 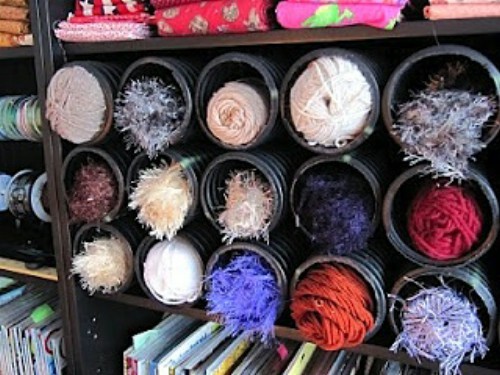 This is a great way to repurpose those plastic bottles and put them to good use. Automatic water bowls are pretty expensive so save yourself some time and create your own. Your pet will love you for it. 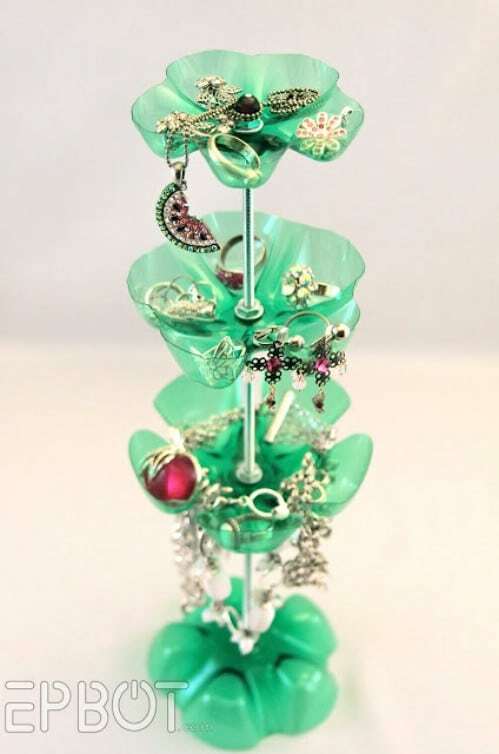 With a few plastic bottles, a threaded rod and a few other supplies, you can create a beautiful jewelry stand to store and display your favorite jewelry. 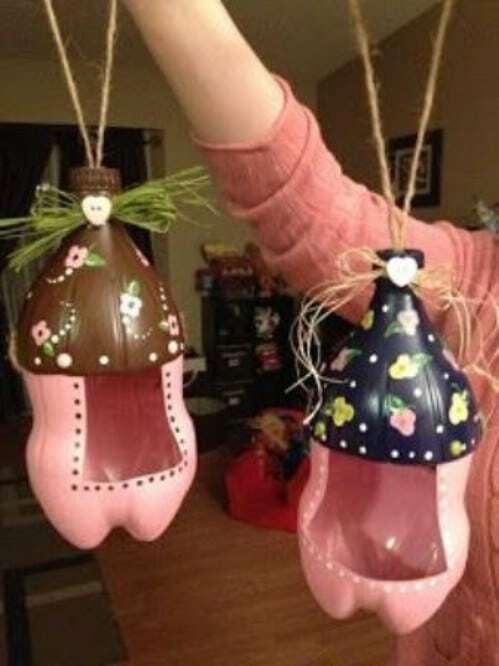 You can use colored bottle bottoms for this or use clear ones and paint them however you want. This is a really easy project and looks great once it’s finished. 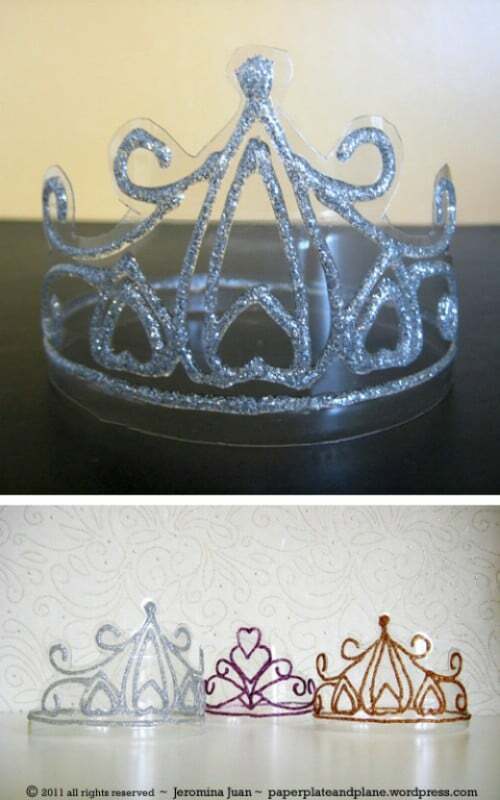 This project is perfect if you have a little princess and makes princess parties much easier. You can create a beautiful princess crown from a 2 liter bottle with just a bit of cutting and some glitter. You may want to print off a template or draw one so that you know where and how to cut. Then just decorate your crowns however you want. 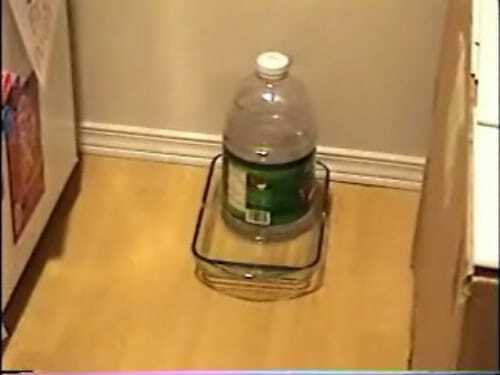 Whether you want to avoid that annoying sound your sink makes when it drips or you want to protect your cabinet from drink dispensers, you can cut a 2 liter bottle to make the perfect drip catcher. You just need a hole large enough to hang the catcher on the faucet and then cut down to the bottom so that it catches the liquid. Warmer weather is coming and with it comes those pesky wasps. 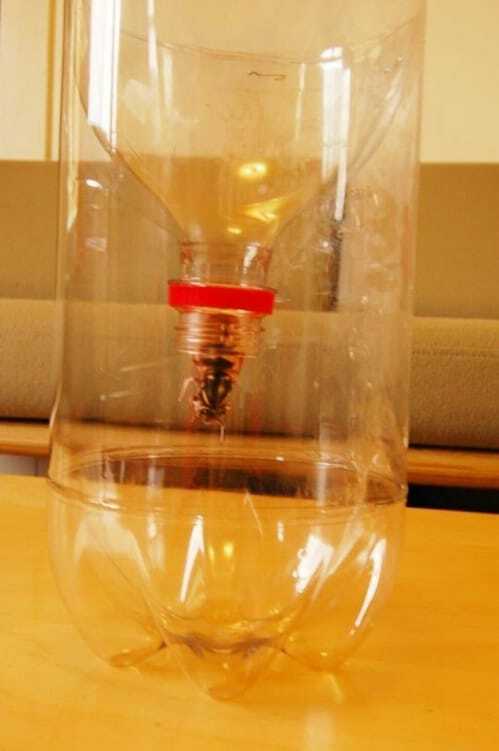 If you have a 2 liter bottle handy (or several of them) you can make a wasp trap that will keep those bothersome bees at bay. You add a bit of honey or sugar water to draw the wasps inside and then they get trapped and can’t get out. These are great for hanging indoors or out. In just about an hour you can make a lovely string of lights to add to your patio. You will need several plastic bottles, some paint, clear lights and a few other supplies. 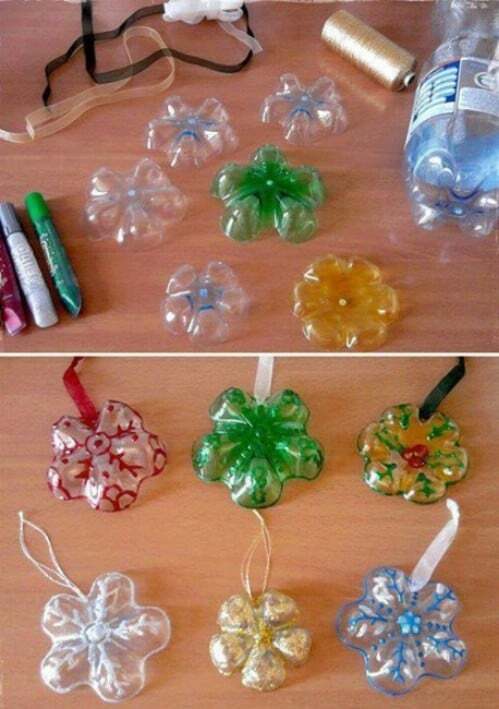 This is a really easy project and if you tend to go through a lot of 2 liter bottles, you can make different light covers for different occasions. It’s hard not to be awed by the incredible beauty of the cherry blossom. Thought to originate from the Himalayas, the cherry blossom plant can be found in many parts of the world, most notably Japan, where the Japanese Cherry is known as the sakura. Pretty in pink, serene and absolutely delightful, the beautiful flower trees of the cherry blossom can certainly create a striking, spectacular sight. If you have ever felt inspired to recreate this natural masterpiece on canvas, here’s your chance. You don’t need to be Monet to get this one right. 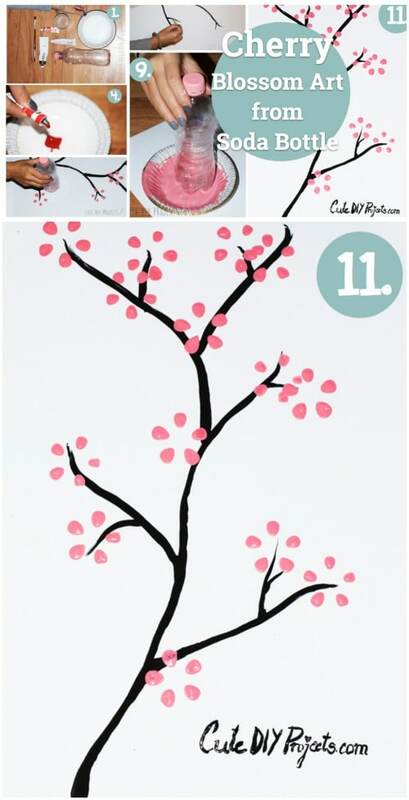 This awesome painting project will show you how you can easily paint your own cherry blossoms in 11 simple steps, and end up with an impressive artwork that you will be proud of. All it requires is a few supplies, a little creativity and would you believe, an empty soda bottle! It’s fun, hands on and you get to let your inner painter shine! I love the many things that can be made with recycled plastics! Hi! Here is an 11 year old!! I love food! I liked it very much mostly the wasp thing. What kind of paint is used for this project? I love this! These are super cute ideas. I will definatley use these in the future. Love what you make at no cost. A great way to keep children occupied. 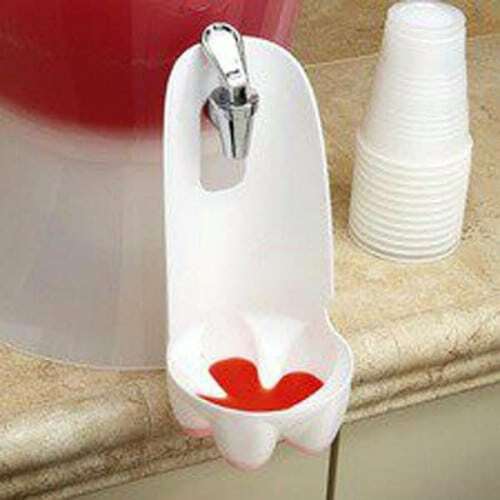 Nice ideas… so usefull.. thanking u!!! 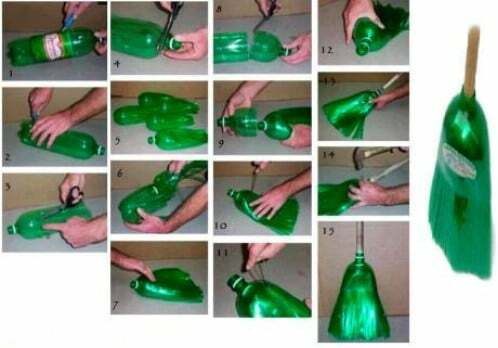 pls make some crafts of things you can do with a green 1 liter soda bottle weapons/military style!